Alpinestars are known for their modern designs, and this jacket would be no different, but the white just looks wrong here. In a darker, less eye-catching colour the Air Flo could look pretty neat. Gaze beyond the outer shell though and the usual Astars quality shines through. 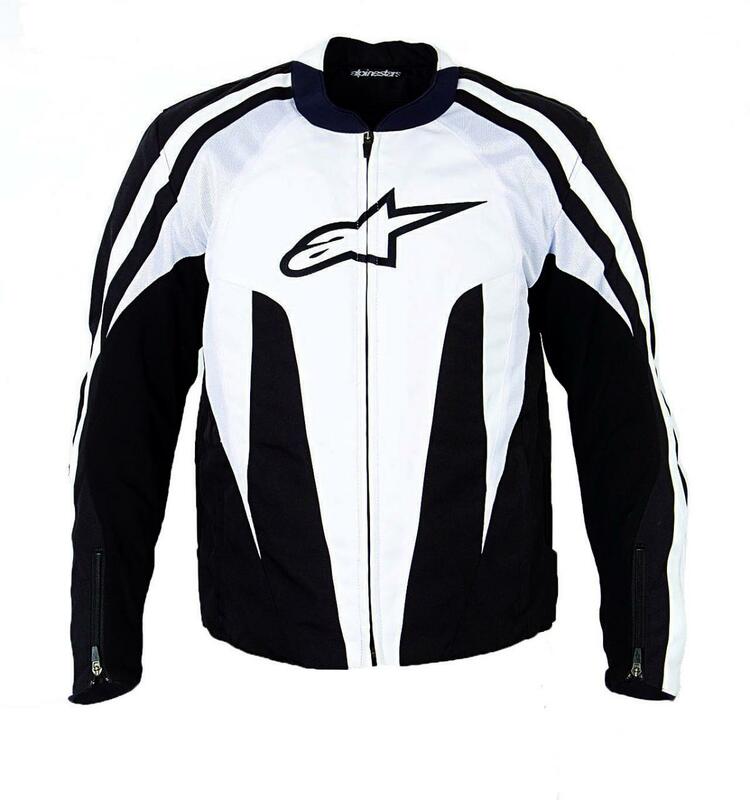 The jacket is really lightweight with lots of vented breathable areas. There’s a removable lining, comfortable armour that has a good fit, and soft stretchy cuffs. But all that white will get filthy in no time, and there’s a slightly shapeless look to the jacket.